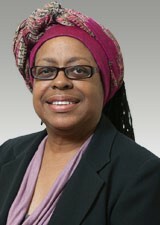 Marcia Johnson has served as a TMSL faculty member since August 1991. In 1992, she founded the Earl Carl Institute for Legal and Social Policy, Inc., a non-profit think tank for the Thurgood Marshall School of Law. She directed the institute for 20 years. Johnson has also served in administrative capacities at the law school including interim assistant dean and interim dean. Johnson has spent much of her adult life in public service and has served in numerous capacities at the national, state, and local levels. She has been actively involved in community enhancement since 1990. During her tenure at the TMSL, Johnson has authored and or co-authored case books and articles, position papers and other publications including the Our Story book on the history and legacy of Texas Southern University’s presidents from the institution’s founding to 2008. She earned a BS degree in Broadcast Journalism and her law degree from the University of Florida in Gainesville. Johnson directs the Urban Research and Resource Center at Texas Southern University.